A mysterious flying object which changes shape has been spotted over Lima, Peru in last week. A mysterious flying object which changes shape has been spotted over Lima, Peru, last week. 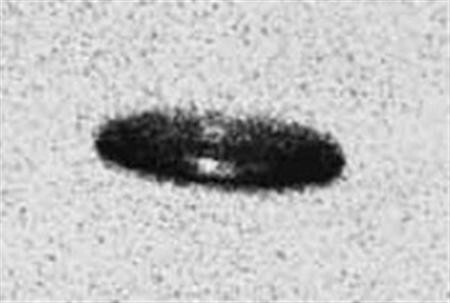 The sighting along with a YouTube video was published on the UFO Sightings Daily website which is coordinated by Scott C. Waring. The appearance of the mysterious object, which was spotted on 30 May, was described as a 'Jelly Fish' and kept changing its shape. The year 2013 has been marked several sightings of such mysterious objects, believed to be Unidentified Flying Objects (UFOs). Although the spotting of such objects is not uncommon, the shape and colour-altering object is something unheard of. There is no scientific explanation to these phenomena. According to UFO Sightings Daily coordinator Scott C. Waring, such sightings are common in South America. "South America is famous for its UFO sightings of objects that change shape. These objects are often referred to as jellyfish like UFO can change shape in just a few seconds. This a fantastic news video from Peru. The shape of the UFO will confound your logic, but when it comes to the shape of UFOs...there is no norm," said Waring in UFO Sightings Daily. In a separate report, the daily also reported the sightings of objects entering into a Mexican volcano. "This volcano is famous for its UFO seen over its crater and often the UFOs will enter it. This is a TV news video from Mexico caught by so UFO researchers who have been watching this volcano 24/7 for the last few weeks," reported the website.